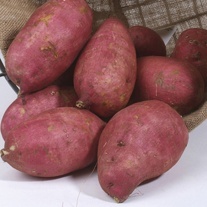 Sweet Potatoes delivered direct by D.T.Brown seeds. 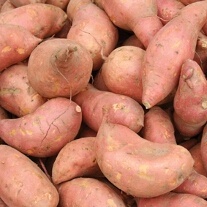 Sweet potatoes have become very popular over the last few years and ever more of us are enjoying their unique flavour as part of a healthy and nutritious diet. 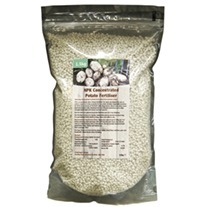 They have no relation to potatoes, but are in fact a member of the morning glory (Ipomoea) family and do not contain as much starch, but are rich in Vitamins A, B, C and E and are a good source of iron and calcium.They are ideal for growing in large containers on a sunny patio or in a greenhouse or polytunnel and they do well outside, in milder areas, in free-draining, sandy soil in full sun. 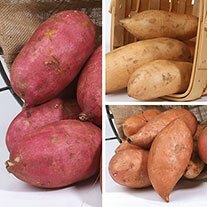 The top growth of sweet potatoes doesn’t die back like a normal spud, but as a general rule, crops grown out in the border soil should be ready for harvesting around the end of September – those grown in patio containers in the greenhouse, mid-October. 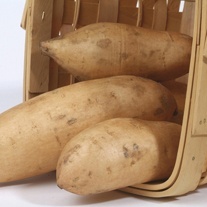 Once harvested, they are excellent keepers, and can be stored for several months to enjoy through the winter. 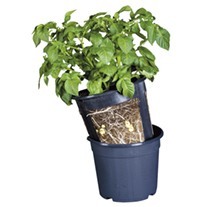 Plants are supplied as young plants, rooted into 3cm plugs and will arrive ready for immediate potting on into 9cm pots.